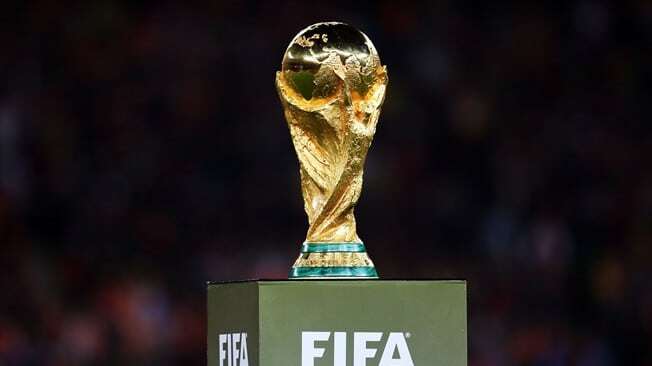 FIFA is always in permanent possession of the real world cup trophy, it is never handed to the winning countries. Those who win the cup only get to hold it aloft at the award ceremony, take pictures with it and then hand it back to FIFA. They are then given a gold coated replica that they get to keep for four years. This is because the first world cup trophy, the Jules Rimet, got stolen in Rio after Brazil won it in 1962. Fifa tried to get it back with no success, they even bought a replica at an auction thinking it was the real trophy. The current Italian designed, 16 carat gold trophy is worth around 10 million USD and priceless in significance and sentimental value.